Looking for an internship opportunity this coming May to July 2014? 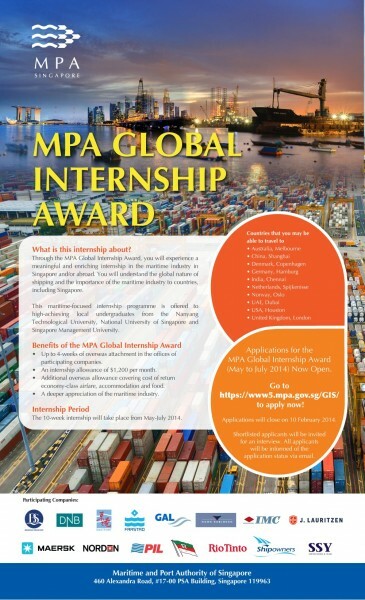 Sign up for this exclusive internship brought to you by the Maritime & Port Authority of Singapore! Click on the poster below to apply now! P.S You should be available between 12th May to 3rd August 2014 for the internship programme. 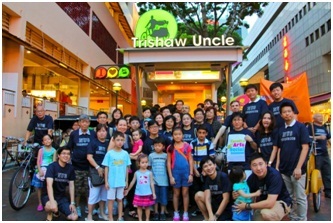 It was a gathering of new and old alumni together with members of the Department of Economics at the Economics Alumni Trishaw Fund-raising event. 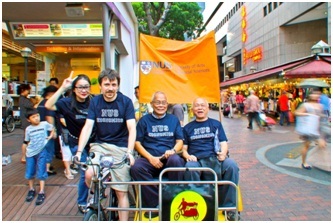 30 trishaws were sponsored by our alumni members as part of fund raising for the NUS Economics Bursary Fund. Each trishaw was sponsored for $500. 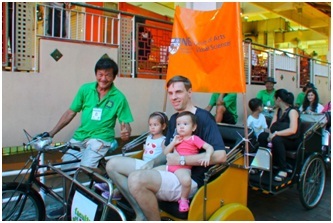 On 30 November 2012, 60 alumni, family members and relatives gathered at the Albert Mall Trishaw Park for a one-hour trishaw ride around Little India, City Hall and the Bugis area. Donned in the NUS Department of Economics T-shirt and honoured by the presence of the Department Head, Prof Julian Wright, participants were treated to night scenes in Little India, passing by the all famous shop-houses specializing in Indian traditional produce as well as the Besar Food Centre and classic landmarks like the Raffles Hotel. 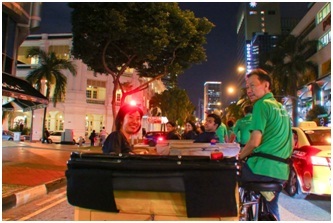 The sights and sounds of night time city Singapore was a sight to behold and many enjoyed themselves in this event. Friends were made and old friends reunited in this event. 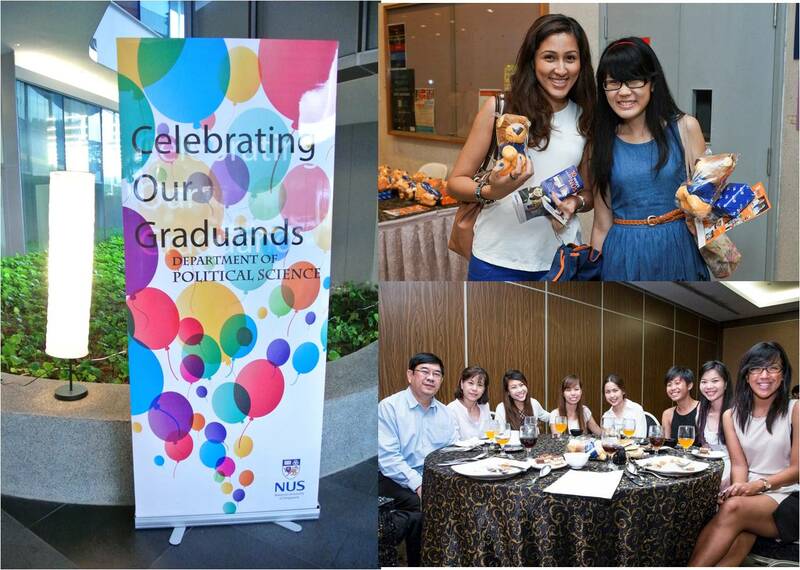 Overall the event raised $15,000 for the NUS Economics Alumni Bursary Fund with support from the NUS Department of Economics. The Economics Alumni thank Chan Kok Hoe, Daniel Lo, Monica Chang, Tang Wee Lip and Dr Lee Soo Ann for their effort in putting this event together. At the recent 2012 International Association of Maritime Economists Conference (IAME 2012 Taipei), A/P Anthony Chin from the Department of Economics, together with Dr Raymond Ong Ghim Ping (Faculty of Engineering) and Dr Dong Yang (Centre for Maritime Studies), was awarded the Hanjin Prize for Best Paper. The Hanjin Prize was established in 1998 by Hanjin Shipping and IAME with the aim of supporting scholars and academic development of shipping and logistics. The prize is awarded to the best paper at the IAME every year. 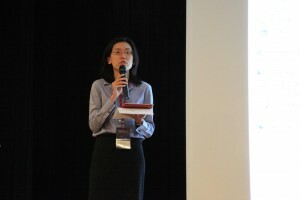 For IAME 2012, 284 papers by scholars from 54 nations were submitted and out of these papers, A/P Chin’s paper, “An Exploratory Study on the Effect of Trade Data Aggregation on International Freight Mode Choice” clinched the prize. The paper explores the use of trade data in mode choice analyses and how it can be effectively utilised to aid economists and transportation planners in formulating effective maritime freight strategies. A/P Chin’s research areas include Mobility, land use and location economics; Consumer choice and pricing analysis: housing, new and used cars, cell phones, industrial and commercial property; Financing and privatisation of infrastructure; Demand management and strategic planning of transportation and hub analysis, travel behaviour modelling; Economics of crime and deception, behavioural methods and fMRI. The IAME 2012 was held from 6 – 8 September in Taipei, Taiwan and was organised by the Shipping, Port, and Logistics Research Center (SPLRC) of Kainan University and Chinese Maritime Research Institute (CMRI) in Taiwan, and Jungseok Research Institute of International Logistics and Trade (JRI) of Inha University in Korea. It provided a unique global conference for academics, key industry practitioners, and policy makers from diverse backgrounds and interests to meet, discuss and debate critical and challenging issues that will affect the future direction of international shipping, port and logistics research and practice. The Department of Economics, FASS and the Civil Service College (CSC) recently organised a two-day conference on “”Evidence-based Public Policy Using Administrative Data” attended by almost 280 participants. 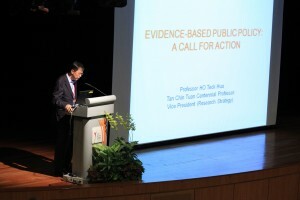 This marks the first time an academic institution and a government agency have come together to provide a platform for international and local academics to meet with Singapore public policymakers to explore the untapped possibilities of using administrative data to make sensible, informed policy decisions that are backed by robust scientific evidence. The welcome address was given by Guest-of-Honour, Prof Ho Teck Hua, Vice President (Research Strategy), and Tan Chin Tuan Centennial Professor, NUS, and was followed by keynote presentations by Dr Victor Lavy (William Haber Chaired Professor of Economics at Hebrew University of Jerusalem), Dr Zhang Junsen (Wei Lun Professor of Economics, The Chinese University of Hong Kong) and Dr Francis Kramarz (Director of CREST-INSEE). The presentations were on a wide range of research which utilised administrative data. Amongst other topics, the speakers demonstrated how increasing the budget allocated per class of students could have a positive impact on academic achievement and behaviour in Israel; and shed light on how population control policies affected household saving patterns in China. “Administrative data provides a wealth of data points to evaluate and develop new policy. With its typically larger sample size and inherent longitudinal structure, administrative data enables researchers to follow individuals over time and address many critical policy questions. This is the first time that the NUS Department of Economics is partnering the Civil Service College to organise such a conference and we look forward to continuing this exchange of ideas between policymakers and members of academia,” commented Prof Ho Teck Hua. Amongst the international speakers present, representatives from the Department of Economics included Dr Wong Wei Kang, who presented his paper on “Does an Additional Year of Schooling Improve Skills in Reading, Mathematics and Science? Regression Discontinuity due to Imprecise Control over Birthdates”, which was authored together with Khaw Kaimin, a recent Honours graduate of the Department. The other representative of the Department was Dr Zhang Wei who looked at how quality disclosures affect the behaviour health care providers in “Are Two Report Cards Better than One? The Case of Coronary Artery Bypass Graft (CABG) Surgery and Patient Scoring”. Mr S Iswaran, Minister in the Prime Minister’s Office and Second Minister for Home Affairs and Trade & Industry speaking at the MTI Dialogue 2011 held at NUS. 20 October 2011 was a special occasion for all students studying Economics, as it was the day the 4th Ministry of Trade and Industry (MTI) Dialogue session was held. 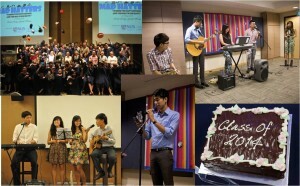 Since its official inauguration in 2008, the MTI dialogue session has been an annual joint collaboration between the National University of Singapore (NUS) and MTI, with the aim of recognising the top economics students from the three local universities. The MTI Academic Awards, with a cash prize of $2,000, were given to the best 3rd year economics student from each university (the MTI Book Prize), as well as the student with the best 4th year economics thesis from each university (the MTI Best Thesis Award). The event also served as a platform for students to air their views on significant economic challenges faced by Singapore today, as well as clarify government policies from an economical standpoint. 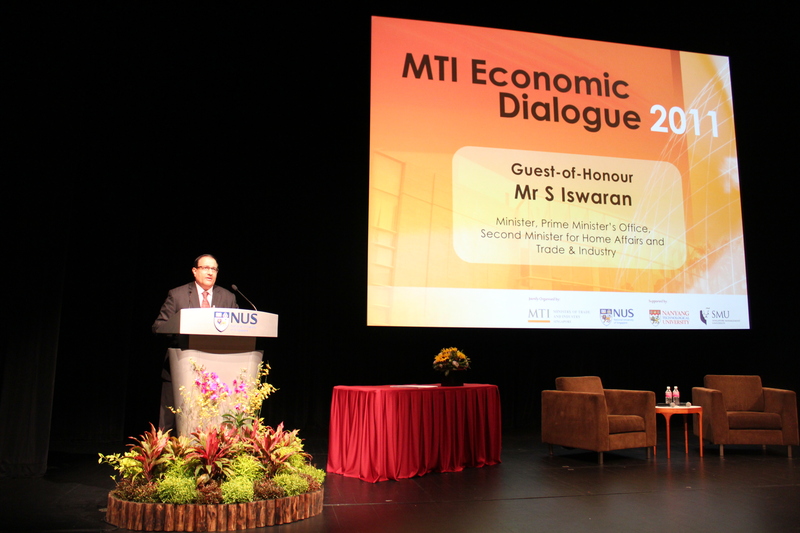 The theme of this year’s dialogue was “Promoting Inclusive Growth in Singapore”, covered in the keynote speech given by Mr S Iswaran, Minister in the Prime Minister’s Office and Second Minister for Home Affairs and Trade & Industry. “The Government has not pursued growth at all costs”, said Mr S Iswaran, stressing the point that the government’s aim has always been to build a better life for all Singaporeans, dispelling the myth that the government prioritises economic growth over the welfare of its citizens. 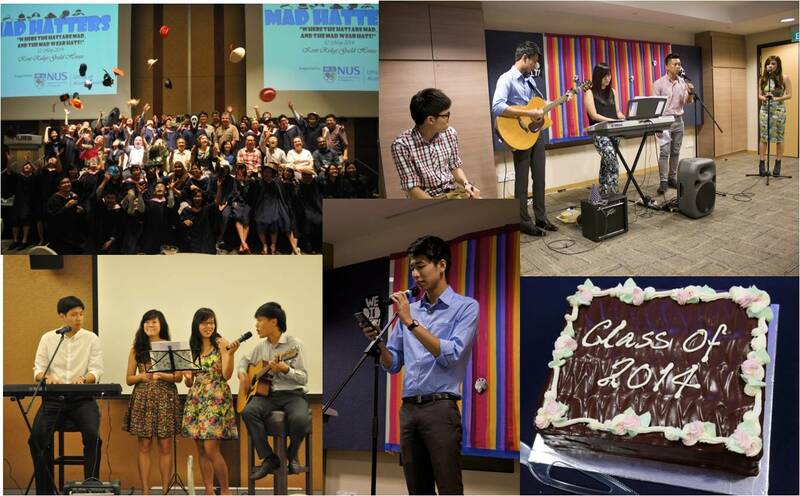 Faculty of Arts and Social Sciences recent graduate, Michael Wan, was the inaugural winner of the GIC Essay Prize. At the crux of his essay on “Post-Financial Crisis: Key Lessons, Opportunities and Recommendations for Asia’s Institutional Investors” were three points: 1. the need to fundamentally re-think risk management; 2. the debunking of the belief in efficient and rational markets; and 3. the increasing disparity between the developed and developing world, thus increasing the need to understand the nuances of each country before investing. An Economics Honours student, Michael has always been passionate about the workings of the world economy and he saw the Essay Prize as a practical way of applying knowledge gained through internships and classes in NUS. Indeed, he seems to have a treasure trove of knowledge; what was most challenging to him was not the lack of ideas but the condensing of his ideas to fit the 2000-word requirement. He says, “I could have touched on so many aspects of the Global Financial Crisis”. Michael has just completed an internship with RBS on the economic research desk and will be joining the Urban Redevelopment Authority (URA) as a property market analyst at the end of the month. 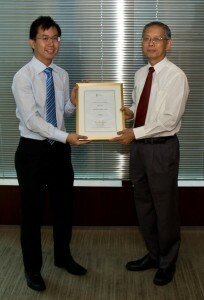 At the award presentation ceremony on 7 October 2011, GIC Group President, Mr Lim Siong Guan, was on hand to present the prize to Michael and second prize winner, Ting Zuo Min from the NUS Business School. The first prize winner received $5,000, while the second prize winner received $2,000. Mr Lim was joined by GIC’s senior management who oversee GIC’s investment groups, economics and investment strategy. The GIC Essay Prize was launched in April 2010 to deepen interest and understanding in the areas of finance and investment among undergraduates. The annual essay competition is open to all undergraduates studying in Singapore, or Singaporean and Singapore PR undergraduates studying overseas. Submissions are now being accepted for the 2011/2012 competition. For more information, please click here.